What the heck is a Stumpknocker? Stumpknockers are a Florida freshwater fish that get their name from dwelling below submerged timbers, according to the Florida Fish and Wildlife Commission. 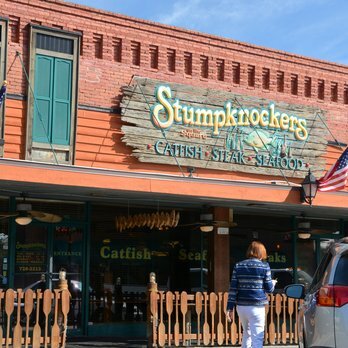 They named their restaurant, Stumpknockers, because it is "small and tucked away, but well worth the trouble to find." Gator skin at least twelve feet long on the Stumpknockers' wall! If you don't know about the history of Florida, Stumpknockers, the restaurant, is the place to go! 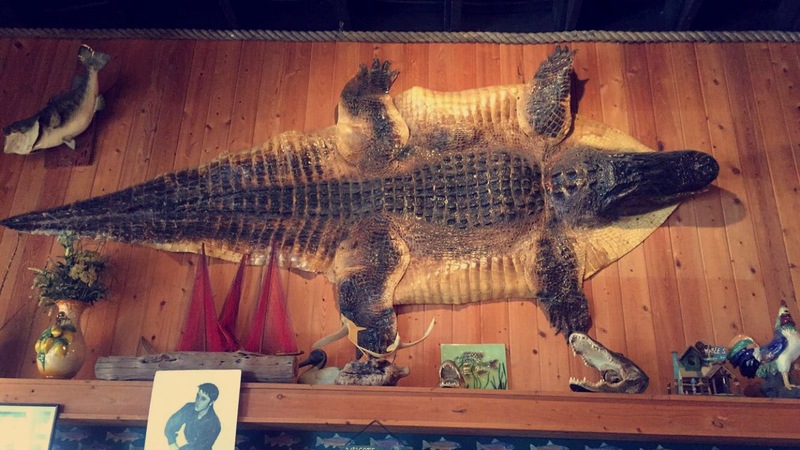 Look up to find gator skins, mounted deer and large mouth bass. 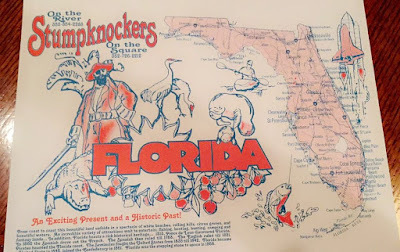 Even their place mats are Old Florida! 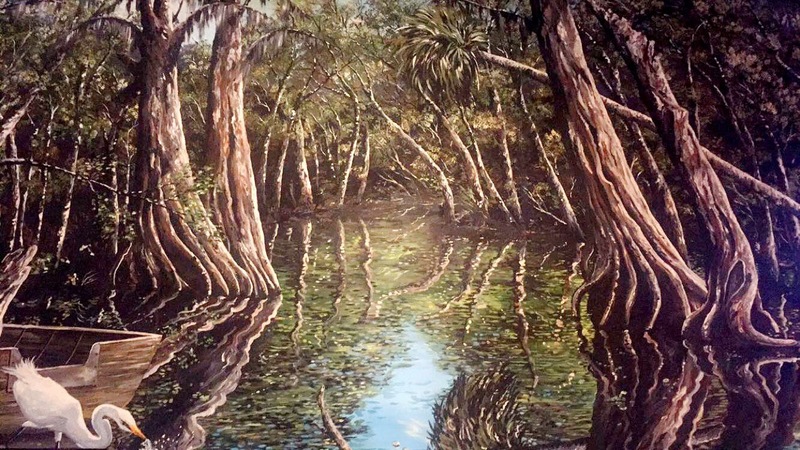 You will be overwhelmed with excitement as you look around the restaurant to find original, vintage Florida decorations. Not only are their decorations exciting, but also the Stumpknockers' menu! 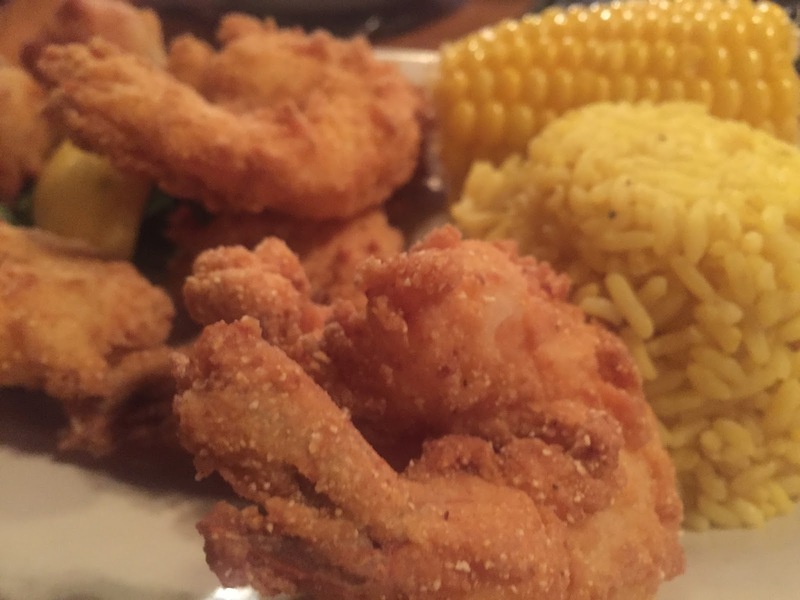 You can find real Florida menu items such as gator nuggets, catfish, fried green tomatoes, frog legs, gator steak, redfish, flounder, grouper, gulf shrimp, sea scallops, and fried oysters. 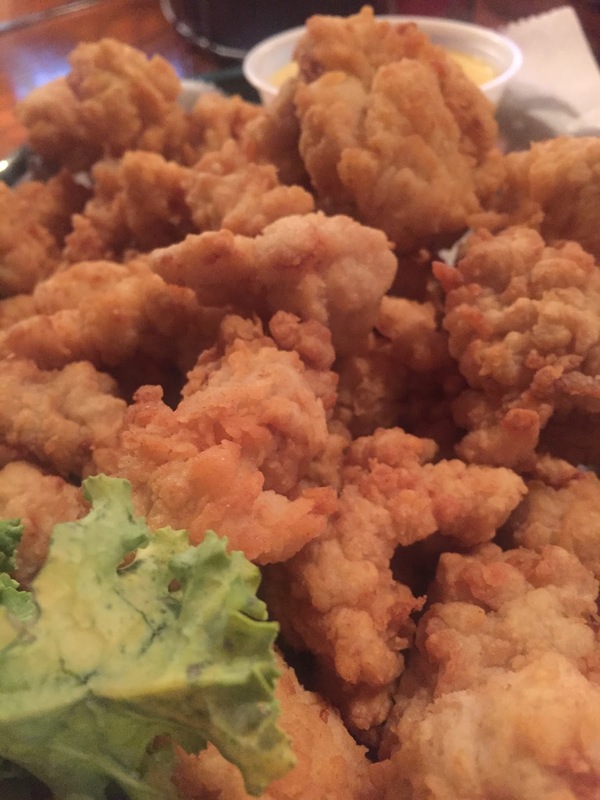 We started our lunch with the gator nugget appetizer. They were large, crunchy and delicious! I ordered the fried oysters. Always a good decision when you live in Florida. I prefer them raw, but I know most people prefer them cooked. We ordered the blackened mahi mahi sandwich, the gulf shrimp and the catfish. 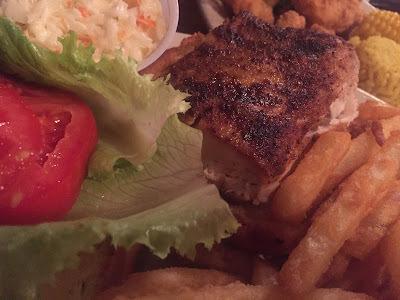 All portions were very large and everyone left happy! View Stumpknockers on Trip Advisor. Family visit to Stumpknockers on the Square!